Vicki Juneau is a registered psychologist practicing in Grande Prairie and surrounding area. She has worked within the mental health field for over 20 years. 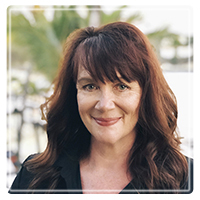 She has experience with mental health and psychological assessments, providing individual, couple and family therapy, consultation, health coaching, and group therapy. Vicki uses a integrative approach that incorporates the client's needs while striving towards emotional and relational balance. She is trained in trauma based approaches, advanced EMDR, mindful based cognitive therapy, and interpersonal/relational psychotherapy. She works collaboratively with her clients in meeting their goals and restoring wellness. Her therapeutic approach focuses on providing holistic health as she blends the use of mind and body strategies.